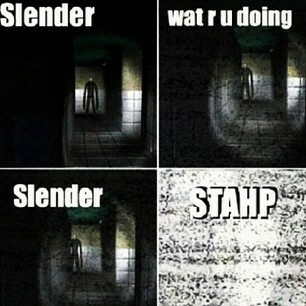 How An Idiot Plays Slender. <facepalms> At least you don't have to explain to them that the static screen part isn't a glitch.... Wallpaper and background images in the The Slender Man club tagged: slender man creepy paranormal game lol. This The Slender Man photo contains sign, poster, text, and chalkboard. There might also be diner.